This view has featured at least once before, and probably will again. I'm not sure the whole B&W and colour composite thing was what I had in mind, this morning, but there's got to be a first time for everything. I'm pretty sure that, at some point, this window was cleaned by someone wearing a diamond ring :-). Details: Both — Nikon 18-70mm, 70mm, f/11, 1/500s, ISO 200, multiple levels adjustments, and a greyscale conversion with the channel mixer. I like this one. 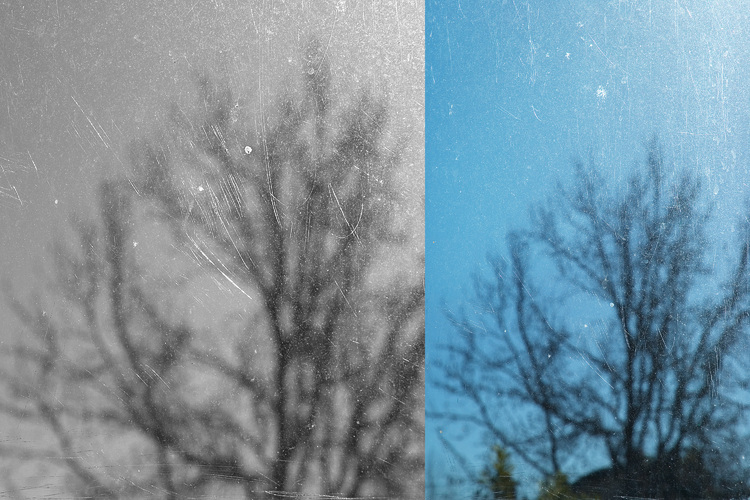 The scratches in the window make the picture and I don't think one picture would work without the other. Good job.